It's so important to give back to our community and the world all year round; not just in the holiday season and one of our favorite organizations is Cheerful Givers. They put together birthday gift bags and distribute them to shelters and food shelves, for parents who are experiencing a difficult financial time in their lives. Their mission is to reach out to these families and enable them to give their children a birthday gift. 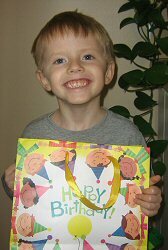 Cheerful Givers has provided more than 600,000 children with special birthday gift bags since their beginning in 1994. You and your family can join Cheerful Givers and their mission to provide birthday joy either by donating to the cause or participating in a "Birthday Bag Blitz." Blitz is a German word for lightning, as Cheerful Givers stresses the intent to create and fill the birthday bags as quickly as possible. The bags hold an assortment of about ten new toys for the child like plush toys, puzzles, books, crayons, stickers, etc. There are many ways to participate in a Blitz, as they are "held by various groups - corporate, civic, school, faith-based and even families. Employees like the idea of volunteering during the work day often without leaving their building and find assembling birthday bags a gratifying experience. Some corporations use a Blitz as a team-building activity during a day-out meeting or include it in their employee recognition program or company outing." Your financial support can help purchase supplies to make birthday gift bags for kids living in homeless shelters or living in poverty. Just $50 can provide gift bags for at least five children. You can also donate items like small toys, bags, candy, ribbons, etc., for the birthday bags. Simply visit this page on the Cheerful Givers web site for more information. 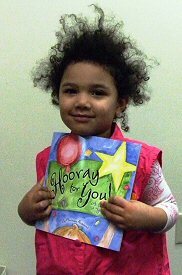 We completely agree with Cheerful Givers – that every child, no matter their circumstance, deserves a happy birthday. Family and community is important, and we should all actively participate in keeping those bonds strong. When we give to these children in need, we encourage them to love and to care for others. For more information on how to get involved, visit Cheerful Givers at their website, www.cheerfulgivers.org/.